There can be little doubt that the online casino sector is going from strength to strength. With a total estimated annual global revenue in the region of $50bn, and £4.7bn in the UK for 2017 alone, the figures clearly show the power of the industry. There is no sign of this slowing down in 2018 – indeed, most industry experts feel it will only continue to grow. But what are the big casino trends that will push online casinos to even greater heights in 2018? 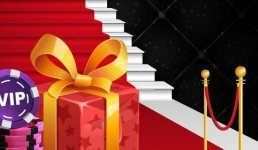 For any players who are keen to hear what they might expect this year from the Casino Veteran, read on. One of the major trends that many expect to make a real impact in 2018 is virtual reality. 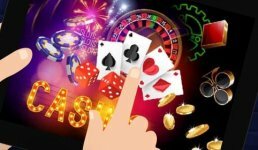 While this technology has been on the fringes of online casinos for a year or two, it is now at a point where it can provide a superb experience for players in a useable way. The first leap players can expect here is virtual reality casinos, where they get the immersive experience of being in a real-life casino from the comfort of their own home. 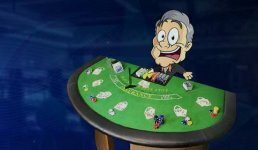 Many big-name developers like NetEnt are also jumping on the online casino VR bandwagon. After all, those virtual reality online sites need games to play! Titles like Gonzo’s Quest are being tweaked into special VR formats and look likely to make a big splash over the summer of 2018. Another fairly new technology that looks all ready to make its entrance is cryptocurrency. These are digital forms of money that players will be able to fund their account and play games with. They are similar in a way to e-wallets but with a couple of key differences. There are zero transaction fees with cryptocurrency and they also offer complete user anonymity. The most famous is Bitcoin, and there are already some online casinos accepting this in 2018. As you can see, new or improved tech forms the basis of many online casino trends for 2018. Live Gaming is another advance that has been around for a while now – with Live Dealer games – but looks set to make a big leap forward in 2018. Platforms like Twitch could be utilized more by online casinos for games – with 45 million users a month reportedly using it to play games or watch others play, it would certainly make an impression. New advances in this area are expected at the next ICE Totally Gaming conference in early 2019. A big trend across all online casinos in 2018 will be the focus on the content they provide on-site. It is expected that all online operators will make the content they offer to players a key selling point. Players can expect special sections on online casinos with non-gaming related content, from music to news, or TV shows. All this is an attempt by online casinos to retain players on their site even when they are not playing games. With the above trends looking set to push the online casino sector to even greater heights, 2018 looks set to be a great year for players. The Casino Veteran is certainly looking forward to what exciting, new ways there will be to enjoy his favourite games. It is the players who will ultimately benefit from this. New advances mean new ways to play and stay entertained. 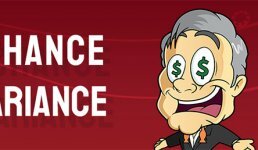 Be sure to keep an eye out, along with the Casino Veteran, for any of the above happening at the best online casinos to play like a pro!